I’m a pretty optimistic guy–at least, I try to be. Sure, I have my moments where things are overly bleak, but I usually get my head around to where it should be. I don’t make knee-jerk opinions about things, and I don’t react with hate and over-the-top craziness when ArenaNet makes changes to Guild Wars 2. So I’ve taken the time over the past few months to chew on what they’ve done, play around with it, and embrace as much as possible. Yet I want to share something that’s been like a thorn that’s stuck in my foot (and no it’s not a sylvari that big ol’ Asmund stepped on by accident). I actually love the trait system and how it’s set up. I find it flexible, because it’s easy to change around now (thank you ANet, for stopping me from having to dish out so much cash through respeccing… back in Lion’s Arch… multiple times a week. I love changing my build way too much.). That’s probably one of the best changes they ever did for Guild Wars 2 (and if they made it so we could have presets, I would be even happier!). Still, there’s something that came with this change in the Feature Patch that bothers me about traits. You might think it’s how new characters have to unlock their traits through accomplishing tasks such as completing a specific event (or you could just pay in-game money and skill points for). No, that’s not it. That’s actually kind of fun for me to do. If I miss an event, I’ll usually dump some silver for the lower tiers, although the skill points are sorely missed at times. A bit of background: Once upon a time you would start at level 11, unlocking your first tier after purchasing a little manual and gaining 1 trait point all the way up to 80, giving you 70 points. You would unlock your Master Tier at 40, and your Grandmaster at 60 by purchasing the aforementioned manual. Issue #1 – What levels you unlock your first traits at. Issue #2 – You don’t get Master Traits until 60, and Grandmaster until 80. If somebody’s going to have a build figured out, originally it was before 80. Or at least they had a chance to play with grandmaster traits. This worked well in the process of the game, as you’d hit 80 around the Lv. 80 zones and already feel a bit more comfortable approaching areas such as Orr, or Frostgorge. You’d be comfortable if you were a new player, or a player who is attempting a new profession. Now, you walk into Lv. 80 fairly clueless without doing your research and, even then, you’re having absolutely no hands-on experience. Perhaps this was an attempt to make the later levels seem more like an “end-game,” but I find it’s just made the levelling process feel painful (and that’s coming from an alt-aholic). Since the change, I haven’t been able to get my characters levelled very quick at all, because it takes me a very long time before I get to play around with any builds, or experiment with traits. This game is not based around an “end-game,” but a journey. Sadly, as I reflect on this change (and have never really spoken much of it to anybody but my wife), I’m wishing it were different. This change has taken away from the journey itself. Perhaps, as an answer, there could be a blend? Yes, I believe there is! I’m thinking that we somehow need a blend. There are obvious problems if ArenaNet changed what levels the tiers unlock though. They would have to change which events and activities had to be completed in order to unlock new traits–especially for Master and Grandmaster Tiers. The prices would potentially have to be adjusted for purchasing each trait unlock from your respective profession trainer. The trait point gain would have to be adjusted (from 1 point every 6 levels to a more frequent amount). Begin traits again at Lv. 10 and unlock it all at Lv. 60. This would eliminate the issue with 1 point every 6 levels, because that approach could continue to be used. Maintain the current cost of trait unlocks. This may encourage people to only purchase if they are unwilling to (or cannot) unlock them manually. Go through the effort to change most of the events to be level-appropriate. 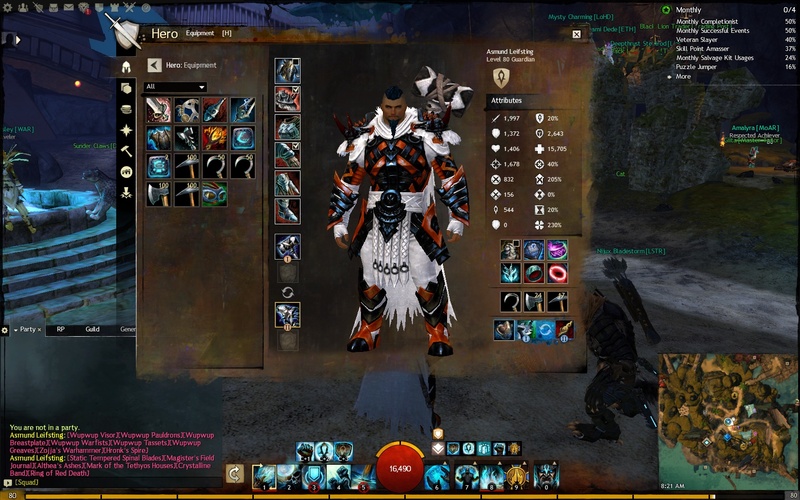 This would be the biggest issue that ArenaNet would have to face, and it’s the biggest problem I can see. I don’t know if there would be a way around it, and I’m not sure they really have the manpower (or desire) to change it. Still, I think that something has to be done. Levelling used to be a thrill for me. It was a well-rounded journey (yes, that’s subjective, but I loved it). Now? I can’t seem to find the desire because it takes me way too long to start figuring out my character because of how significant traits are in this game. The game was created to be simplified with only 10 skills available at a given time (not including class mechanics), and I’m not convinced people found the combat system so complex that they had to wait until 30 before they started delving into traits. This is the most beautiful part of a beautiful game–my favourite game I’ve ever played, and am passionately committed to. After thinking since April, I’ve finally decided that yes, this would be the most pressing issue in the system for me above everything else. 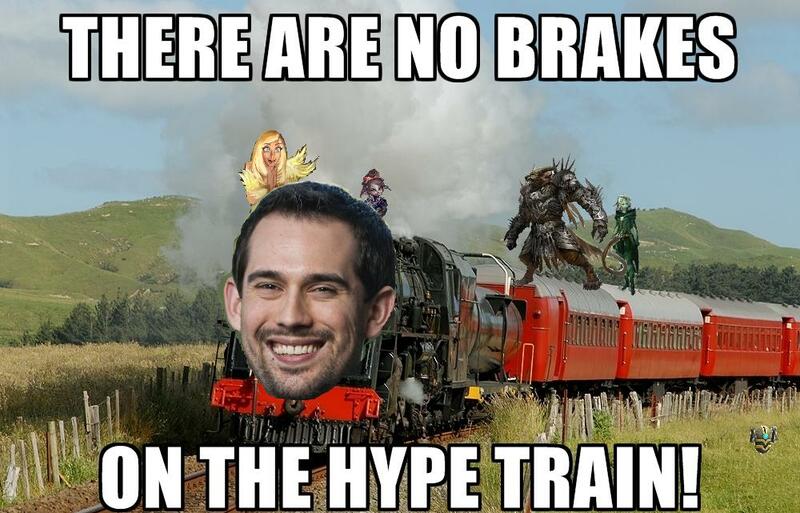 I hope that one day ArenaNet manages to find some kind of blend with the old system and the new. Have you enjoyed the new system? Is there something you could see in it to be improved? How should it be tweaked to enhance your experience in Tyria? Post in the comments below, because I would love to hear what you have to say!